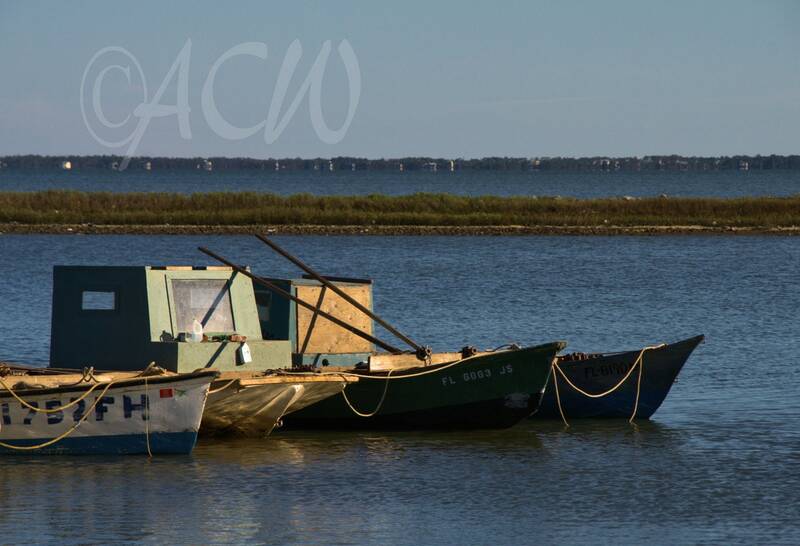 Moored Apalachicola oyster boats in East Bay, Florida lined up just outside Apalachicola. Each colorful boat is uniquely marked. An original color photograph.